It shouldn't be a first for you to have someone say that she feels most beautiful when she feels the sun on her skin, the wind on her hair. I am among those people who refer to life as a place of undisclosed enchantment simply awaiting a release. Every time I feel happy, I draw women standing still in the very image I have described. In fact, my now defunct -- because it's too emotional, angsty and filled with uncontrolled emotions -- multiply site, "Loving you feels like this." pretty much exemplifies the fact that when I'm happy, I draw women with blown away hair (Trivia: the site title is so because while drawing the woman, my multiply profile photo, that line was on repeat in my mind). Is it crazy to think that happiness is held by people who allow themselves to be blown away? One sweet sunday afternoon, I found myself returning to a haven of any beauty-savvy woman (even man) at Clarity Aesthetic, Medical and Dental Center located at 5F Wellness Zone of the eternally peaceful Shangri-la Plaza Mall. Upon entering the clinic, the white-washed walls effectively "clarifies" every dark thought or cloud hovering any guest's head. I for one is very particular with ambiance. Although I do consider myself as a woman of the streets, when doing my "me-time", ambiance is a ruling priority. People shouldn't sacrifice a good ambiance when out for a quality self-indulging experience. I always say, if there's anyone who deserves your sincere affection, it would be your very own self. 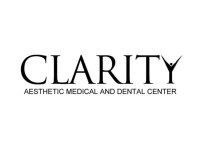 Clarity's clinics pretty much takes that into consideration. It does have the feel of a hospital, than a clinic and yes, it doesn't really have the sweet feeling of being in a spa, but what I truly enjoy about Clarity is that it isn't scary. 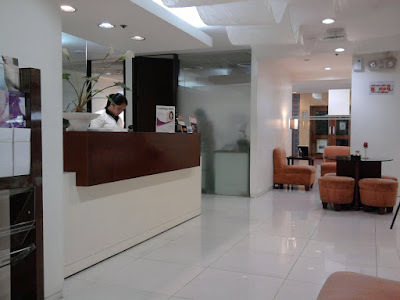 I'm afraid of hospitals, nosocomephobia, and although Clarity is a clinic that places itself as a highly-professional medical center bordering to a mini-hospital peg, my fear of doctors and needles fade away, like the night as it leans against the break of dawn. For that day, I was scheduled to try Clarity's Oxy-Rejuvenating Facial. Below is a photo of me before the treatment. 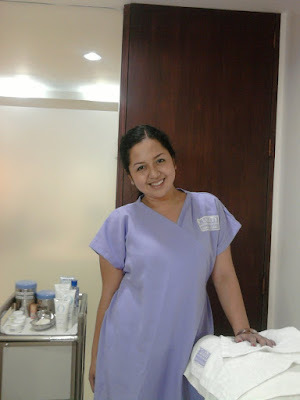 I was asked by my attendant to wear a gown so she can easily massage my neck and well, with a massage as reason, I was more than happy to oblige. Besides, the gown was kind-of cute. Lavender is a nice color on me, what do you think? If you noticed, there's a door behind me in the photo above. Why is that? Just so you know, in Clarity, you get the privacy of your own room upon procedure. None of th0se bed-after-bed-after-bed you see in other facial centers. To ensure comfort, security and of course exclusivity--best suited for those who are not comfortable rubbing elbows with complete strangers--the Clarity rooms are more than happy to welcome beauty and comfort seeking guests. For the Oxy-Facial, I was first given a soothing head massage which was followed by a relaxing face massage that makes use of the following oxygen-infused skin products, as shown in photo below. (Clockwise: exfoliant, gel toner, make-up remover: for the eyes, milk cleanser: to cleanse and remove make-up for the face) The attendant's touch was firm and I really enjoyed it to the point that at the back of my mind, I think I could do pretty well without the facial itself just so the massaging won't stop. Kidding aside, what followed through was something I wouldn't wish of missing. Oxygen, as we all know, is essential for life. The skin doesn't place behind this race. Mei Puente-Sia, R.N, the center's Training Coordinator Specialist, explained the role oxygen plays especially in terms of the skin. "As we mature, our skin's metabolism slows down. This means the absorption of nutrients by the skin takes longer than it used to when we're younger. Pollution and stress are among the major reasons why the skin 'ages' quicker than it should have. To counter the effects of free radicals, the Oxy-Rejuvenating directly supplements the skin's needed oxygen for that youthful glow," Puente-Sia said. 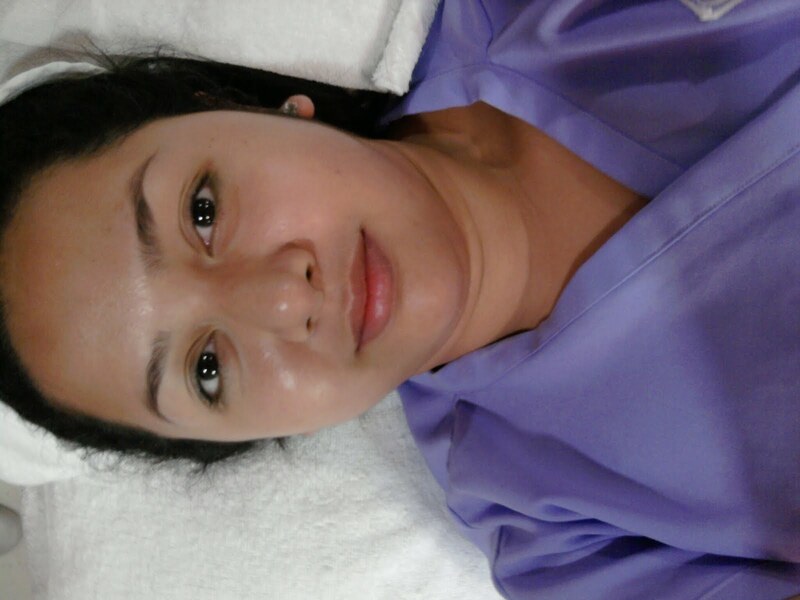 She added, "Compared to other facials which focuses on 'microdermabrasion' such as with the Diamond Peel which makes use of small crystals to exfoliate the topmost layer of the skin, the Oxy-Facial focuses on infusing the skin with what it needs." For the Oxy-Facial at Clarity, they make use of an advanced oxygen facial system called OxyOasis, a system owned by Oxygen Botanicals which uses pure, non-chemically derived oxygen. 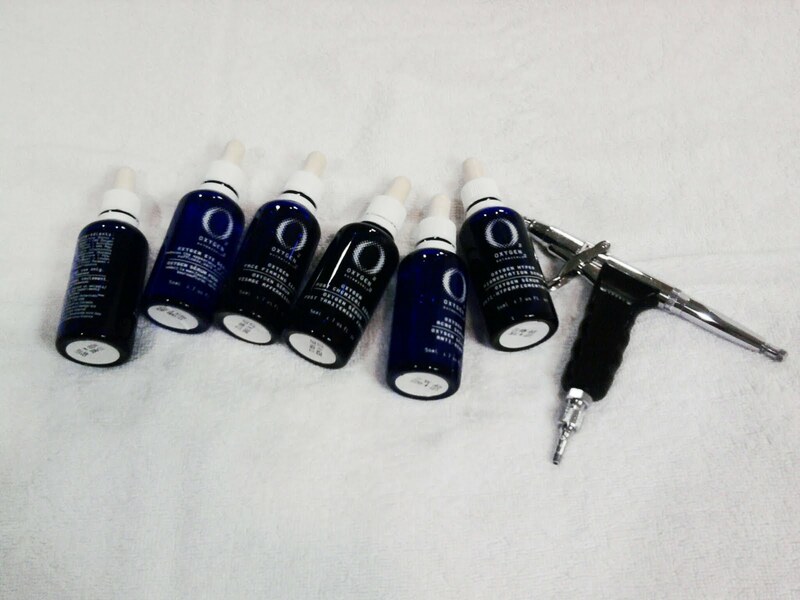 Below are photos of the different serums applied on the skin through the OxyOasis machine (second photo below). See, after having my face cleansed of all signs of dirt or make-up, my attendant exfoliated my skin through the use of what surprised me to be a highly-abrasive exfoliating cream. It was an entirely separate facial, if you ask me. The pure oxygen-infused exfoliating cream was so effective the use of cleansing brushes wasn't even necessary. After exfoliation, my face was placed under the steamer to open up the pores for easy and surprisingly pain-free extraction of skin impurities. With all these done, the OxyOasis machine did its magic. A concoction of moisturizing serum was sprayed all over my face leaving a cooling effect for me to entirely surrender to the refreshing oxygen facial that followed and concluded the procedure (check out my shiny face--that's me right before the moisturizing serum dried up :p I felt like sleeping, it was such a wonderful feeling to experience the oxygen facial). Before you go and reserve an appointment with Clarity (call at 02-9104955 to 53), I think you should also know that some added-value reasons why an Oxy-Facial can, well, blow you away. 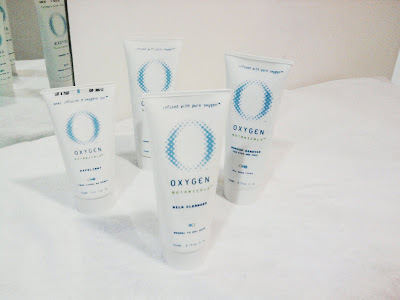 Did you know that with the advanced technology of Oxygen Botanicals which features a time-release formula responsible in providing the skin the oxygen it needs for metabolism, for every 40-50 minutes after your facial, until approximately your next wash, the advanced liposome delivery system of the catezome cross-section technology of the oxygen-infused products used for the Oxy-Rejuvenating facial delivers oxygen, vitamins and more to the skin--while you enjoy shopping after your delightful facial! 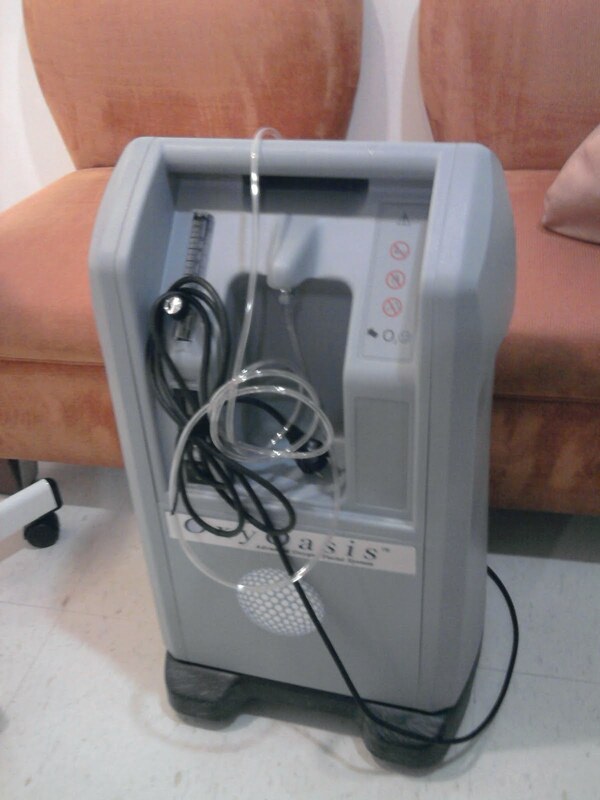 Ms. Puente-Sia was beautifully candid upon sharing this to me, and I, having experience the wonders of an oxygen facial, was completely delighted too. If you have extremely sensitive skin, you have nothing to worry about since Oxygen Botanicals are derived only from natural plants and does not make use of synthetic fragrances. Unlike other facials, depending on your skin's needs, you don't have to always have an Oxy-Facial to maximize the improvements of your skin through oxygen infusion. I myself in particular am not fond of highly-demanding beauty rituals. I am not as disciplined as I wish I would be, and I really don't want the fight for beauty (or should I be political and refer to it as aesthetics) to take over my life. Good thing that with the Oxy-Facial, one or two visits a month could already effectively keep the free radicals tabbed away. Go ahead and experience the oxygen facial yourself. Do you know of the Marian Rivera commercial for Nesvita? It kept on playing in my mind after the Oxy-Facial. I don't know what else to say to describe how it felt... "Beautiful (fade in sweet smile)." how much would it cost me? tnx..